Step that steak up a few notches with an excellent marinade. Easy to do and all your friends will want the recipe. 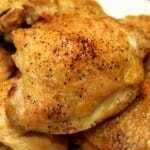 The inspiration is a very popular recipe around the internet on blogs and recipe sites. The original (I think) is known as “Best Steak Marinade in Existence” on Allrecipes.com. Only a few changes to simplify and some rounding for a smaller (Cooking For Two) amount. Plus I didn’t bother with running a blender, though. I buy very good beef, so a marinade just seems wrong on a filet or porterhouse. Just some salt, pepper and a little garlic, please. Strip steaks have just not been our favorites over the years, but the best-looking steaks at the market were the strips. I had just read Simple Steak Marinade by Chris at Nibble Me This and a marinade seem great, but I’m not a “beer person” so Google was my friend again. If you’re a beer person, check out Chris’ post. A 5 minus. I don’t frequently marinade steak, but this is good enough to start doing it a lot more. My wife felt it was the best strip steak she has had in years. Notes: Run through a blender if you want but it doesn’t seem necessary to me. Use black pepper if you don’t have white. Add a pinch of crushed red pepper or a hot or pepper sauce if you want. 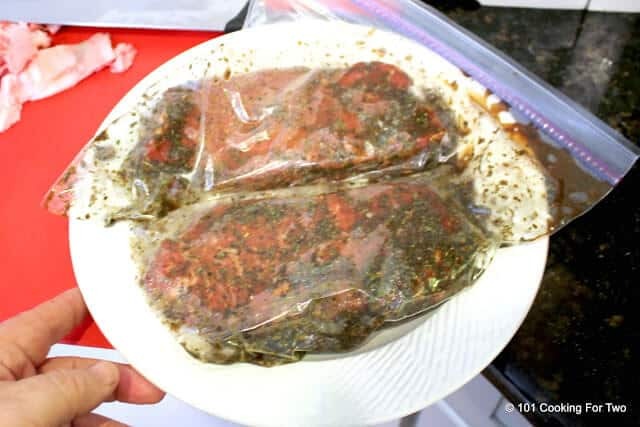 In a 1 gallon zip lock bag combine: 3 T soy sauce, 4 T olive oil, 3 T lemon juice, 2 T Worcestershire sauce, 2 t garlic powder, 1 1/2 T dry basil, 2 t dry parsley flakes and 1/2 t white pepper. Add the steaks to the bag, squeeze out the air and mush the steaks around to get them coated well. Refrigerate for 2 to 8 hours. Longer should be fine. Remove from the marinade and discard the marinade. Grill as usual. You can also pan sear. 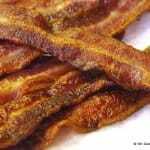 See my post at https://www.101cookingfortwo.com/pan-seared-oven-roasted-strip-steak/. Allow to rest for 5 minutes or so before cutting. 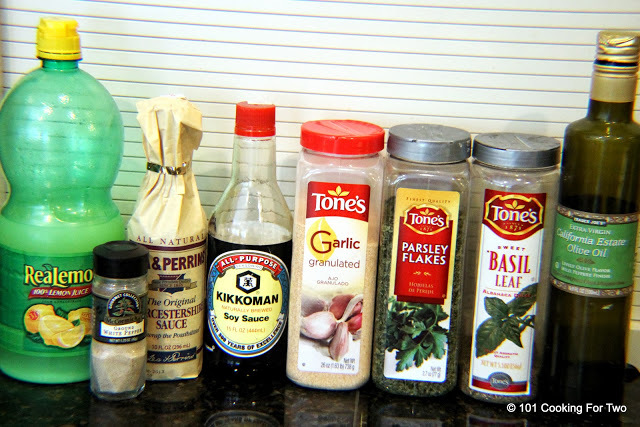 In a 1-gallon zip lock bag combine: 3 T soy sauce, 4 T olive oil, 3 T lemon juice, 2 T Worcestershire sauce, 2 t garlic powder, 1 1/2 T dry basil, 2 t dry parsley flakes and 1/2 t white pepper. 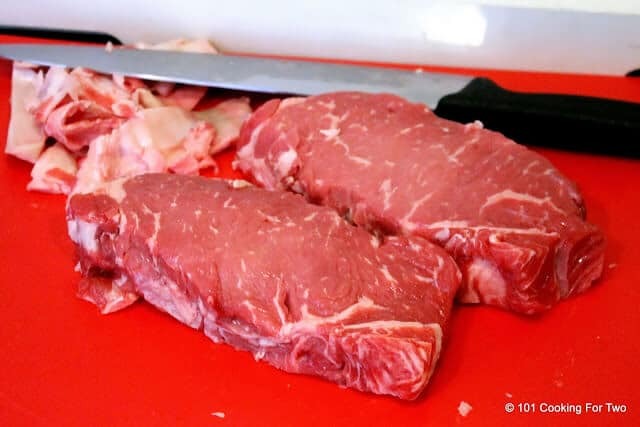 Trim your steaks of extra fat. Add the steaks to the bag, squeeze out the air and push the steaks around to get them coated well. Refrigerate for 2 to 8 hours. Longer should be okay. 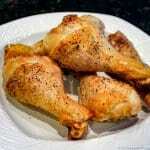 Remove from the marinade and discard the marinade. Grill as usual. 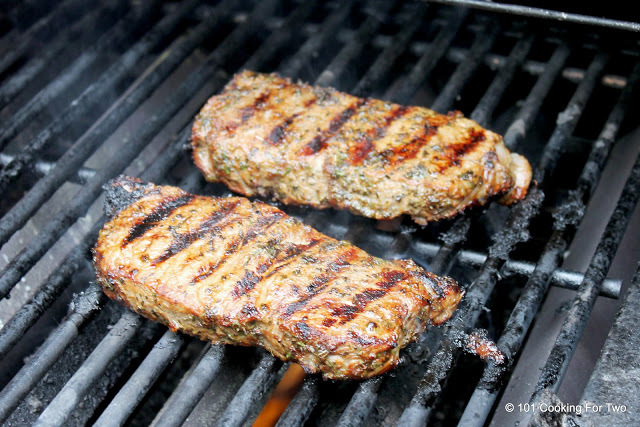 Nutritional information is for entire recipe which can do 3-4 steaks and only a small amount stays on the meat. I really loved this marinated for the steak I did. My family really enjoyed them to.. I use this frequently with strip steaks to “kick them up a notch” for company and special dinners. This marinade is my new “go to” marinade. I have never liked beef let alone steak, but got two Omaha Strips as a customer appreciation gift. I was so proud of how these turned out that I wanted to go out and buy a beef! This is going in my private collection. Thanks for perfecting and sharing it! This turned out great on a flank steak. I’m not a fan of lemon and was worried the lemon juice would be overpowering, but I couldn’t taste it at all. Due to available ingredients, I substituted peanut oil for the olive oil. Have you tried different oils (vegetable, olive, peanut, etc.) and what would be your opinion on why you choose a certain one over the other? Good ingredients my wife loved the steak but I usually like my steaks medium. 15 minute’s it came out well done. Maybe they should put the different types of minutes for rare, medium or wealt done. PS I’m changing this post to point to those instructions. All of the ingredients sound fine except for the lemon juice. 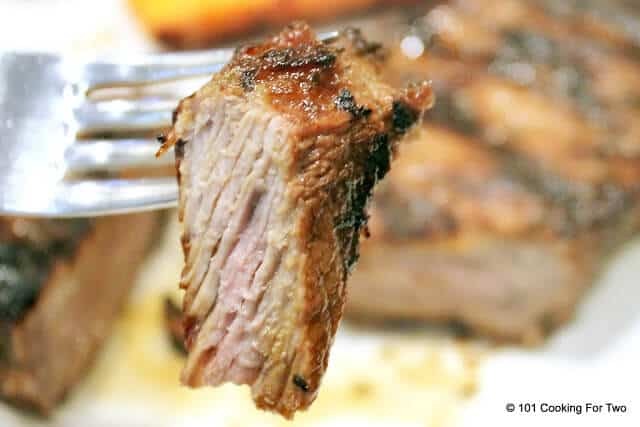 Lemon juice will cook the meat and should NEVER be used in any marinade where the meat, or fish for that matter, will be in it for more than a few minutes. Also, lemon has NO place in flavoring a steak. Well I will disagree. 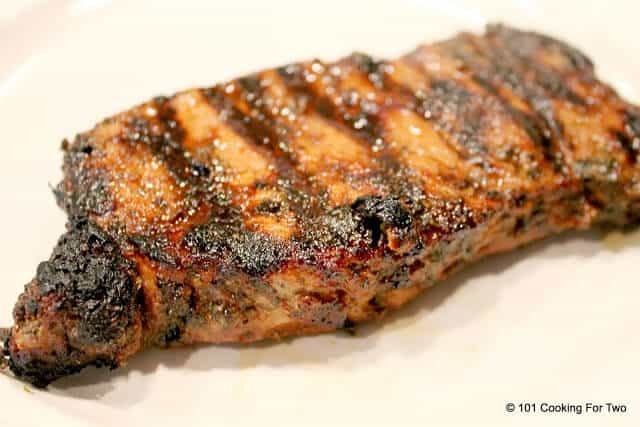 A marinade needs an acid to denature the proteins of the meat. The usual ones used are lemon or lime juice or vinegar. If by “cook” you mean to denature or break down some of the proteins then yes…but that is a big exaggeration of the word. This allows the other components to penetrate better and usually will tenderize some. So NEVER is wrong… As for the taste, I couldn’t taste it but do what you want. This sounds great and looks delicious; I want to try it. I don’t think I’ve ever marinated a steak. Thanks! Excellent. I love to cook but a good steak was never in my grasp until now. I do not like rare beef but strips just get tough when overcooked. and juicy at the medium to medium well stage. Very good. I can make steak now! Made the smashed potatoes and honey grilled carrots. Also very good. Thanks for the note David. 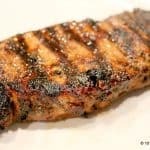 You might want to try my post on how to grill a t-bone or porterhouse at https://www.101cookingfortwo.com/how-to-grill-t-bone-or-porterhouse/ . It will make you look like an expert. As for rare… most expert would say I over cook my beef. An excellent filet can have a little blood but only a little pink for a strip or porterhouse. It’s funny because I thought about that same recipe when I posted my variation of Troy’s. I’ve had that “best steak marinade in existence” on my try queue forever, but it’s just so rare that I marinate steaks. Your looks like it turned out great. It did turn out great… I’m sure yours did also.